Vintage Clothing Blog | Vintage Wedding Dresses | Salvage Life: Salvage Life at Unique LA this weekend!!! 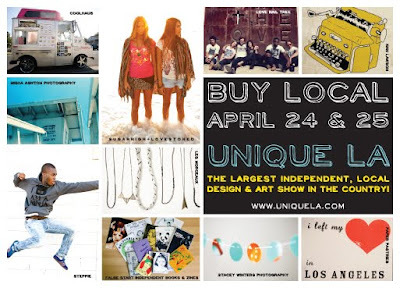 Salvage Life at Unique LA this weekend!!! Come out and see Salvage Life this weekend at Unique LA in downtown Los Angeles. Sat & Sun 11am to 6pm Free Drinks!!! We will have clothing from the website and new items at 20% off, the $10 trunk o' vintage, tons of new jewelry, bags, sunglasses and headbands. The event costs $10 but you get a free gift, there are workshops and you will find a lot of amazing people and products! Hope to see you there!